Posted on 19, August 2016 by EuropaWire PR Editors | This entry was posted in Automotive, Finland, Transportation & Logistics and tagged Pekka Hägg, reduce fuel consumption, stern trawler, vessel efficiency, Wärtsilä Ship. Bookmark the permalink. The new optimised stern trawler designed by Wärtsilä will reduce fuel consumption and notably increase overall vessel efficiency compared to currently available designs. HELSINKI, 19-Aug-2016 — /EuropaWire/ — Wärtsilä Ship Design has introduced a new optimised stern trawler design that will reduce fuel consumption and notably increase overall vessel efficiency compared to currently available designs. The propulsion system is based upon the Wärtsilä 31 engine, which has been recognised by Guinness World Records as being the world’s most efficient 4-stroke diesel engine. The design also incorporates Wärtsilä’s hybrid battery technology, which offers a significant energy efficiency improvement over conventional systems by running the engine at optimal load and absorbing many of the load fluctuations using batteries. 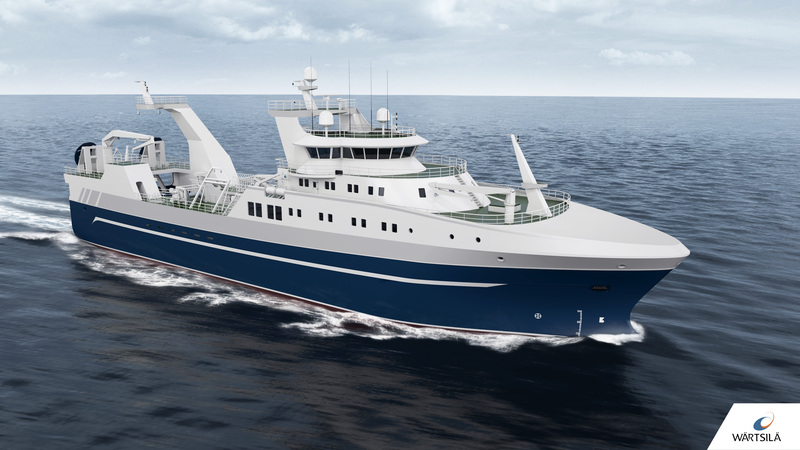 The Wärtsilä VS 6215 ST stern trawler design will be a feature of the Wärtsilä stand at the Nor-Fishing 2016conference and exhibition being held in Trondheim, Norway from August 16 to 19.